JBEI’s mission is to convert biomass to biofuels. The goal is to provide the nation with clean, renewable transportation fuels identical to gasoline, diesel and jet fuel. Inside JBEI’s Emeryville laboratories, researchers are using the latest tools in molecular biology, chemical engineering, computational and robotic technologies, and pioneering work in synthetic biology to transform biomass sugars into energy-rich fuels. 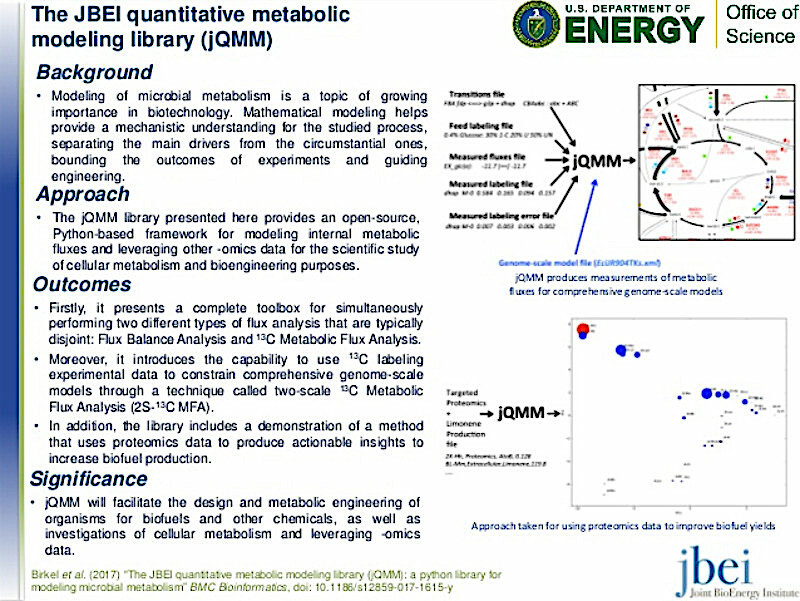 Each month, JBEI highlights its technical advances with a new slide, and we’ve consolidated the most recent of these here below.